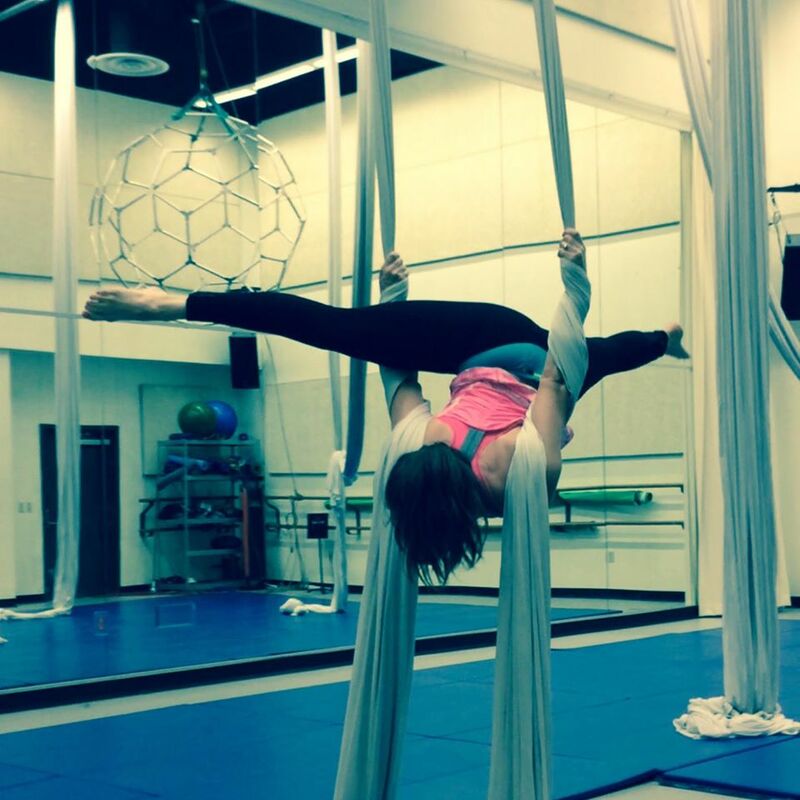 Yes, I have a love affair with aerial silks. 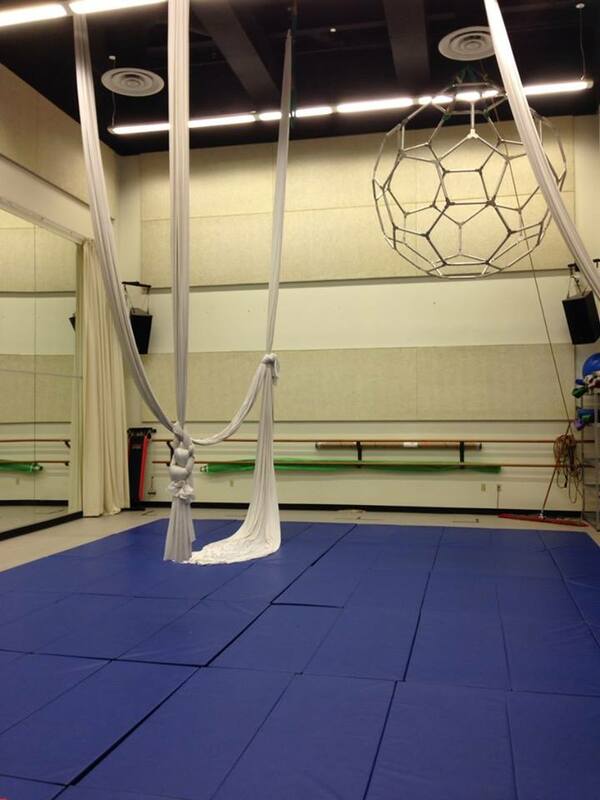 I am one of the slightly crazy people that decided to take a course in aerial silks training and became hooked. 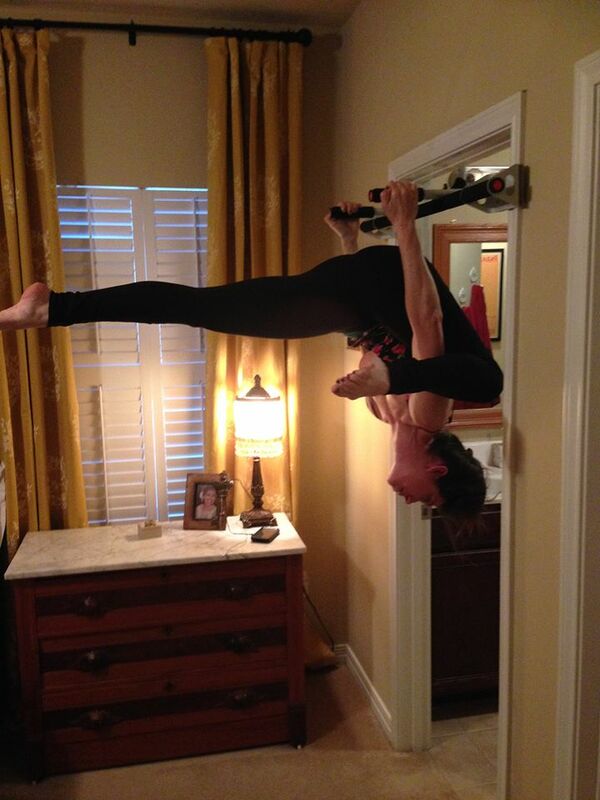 My aerial yoga teacher asked me on a whim if I wanted to learn and that is how my relationship with silks began. I was a wee little bird when I first started with absolutely NO upper body strength. 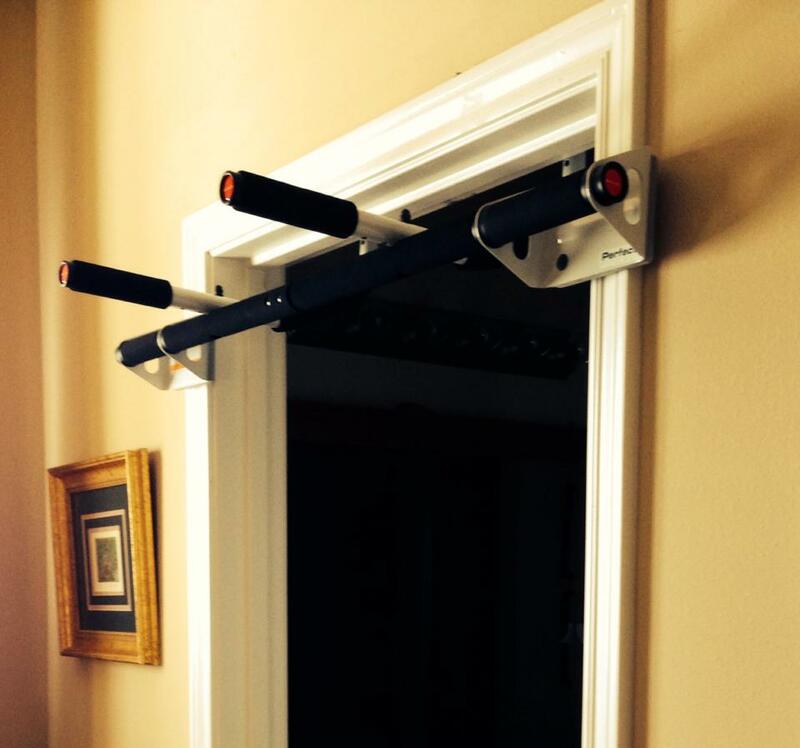 My pull-up bar became my friend and enemy. I struggled to get my first pull-up but I knew if I stayed dedicated, I would persevere. It took me several weeks before I had the strength to climb the silks and that is a main part of the foundation. I went through the normal depressing moments where I didn’t think I would ever be able to do this mesmerizing skill. I would doubt myself but I have a supportive husband who would cheer me up each night I would come home in a funk. I had to keep telling myself “most people aren’t brave enough to even try this”. 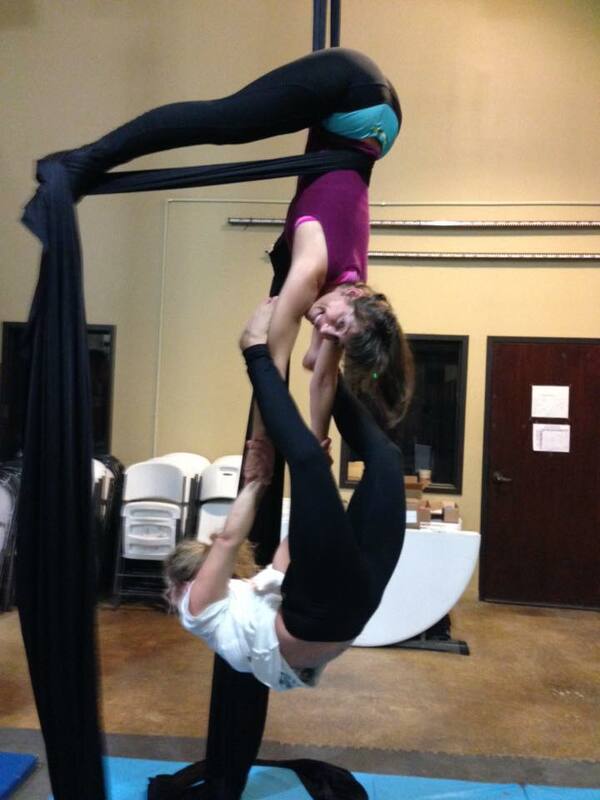 Once my body started transforming, silks became fun and each class brought another adventure. I could tell that in time I would excel but I needed to stick with it and put in the necessary work. 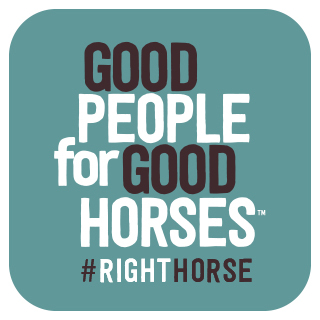 That is one of the lessons I have learned since starting this journey. If you want something bad enough, stay consistent and dedicated and your body will develop the strength to bring you to heights you never thought you could reach, literally and figuratively. I should also explain that I have psoriatic arthritis which I treat with Enbrel once a week. Having an autoimmune disease that once gave me debilitating pain and inflammation has been the pinnacle part of this process for me. I once could hardly walk because my knees were swollen to the size of cantaloupes and the pain was excruciating. To see my progress over the past 9 months is truly remarkable and each hurdle I would overcome learning this beautiful art form was a huge victory for me, on many different levels. At the end of our 4 month course, we had a mini-performance in front of friends and family. I had the kind of nerves where I wondered if I could actually perform. I did make it through the routine and felt pride that I hadn’t felt in a long time. I had chosen a song that really represented my sad soul at that time. I was going through some difficult times personally and this was a way for me to express it. Even though the crowd didn’t know the trials I was walking through at that time, I could have the release on my own and experience the emotion that song represented for me. Even though I took a short break over the summer, I have since continued my training at a different studio and my love affair continues each week. Thinking back on my initial steps into the world of everything aerial, I see now there was a purpose all along for me. God was preparing me mentally and emotionally for a difficult season in my life. He brought into motion a hobby that represented so much more for me than just learning tricks on silks. I became physically strong and found joy in something that I could work on for “me”. This strength and joy filtered into other facets of my life and I was able to make hard decisions in my life because I had found confidence in myself. As I continue to learn new ways to fly, I will share them with you and hope you find inspiration in my journey of life and everything aerial, one silk at a time.